Take a look at your compensation package. Does it include a base salary along with the opportunity to earn commissions based on your sales performance? If you are like many sales professionals, your comp plan includes both a salary and a commission component. And since a base salary is involved, you may be wondering what is the best way to ask for a salary raise. But before figuring out "how" to ask for a raise, it may be a better idea to figure out "when" to ask for a raise. Before you head any further down the road of asking for a raise, make sure that your employer's compensation plans allow for raises and that all sales professional's salaries are not set according to job title, quota levels or tenure with the company. Many large sales corporations employ a position-bound salary model in order to ensure consistency throughout the organization. Have You Overachieved, Consistently or Dramatically? Timing is everything. And when it comes to asking for a raise, your timing needs to be impeccable. If you've recently started in your sales position and had a few good months during which you've hit or exceeded your assigned quota, asking for a raise may be a sign of bad timing. Though you may have demonstrated an ability to hit your quota, you haven't proven yourself for a long enough period. Walking into your boss's office and asking for a raise will probably raise suspicions over your long-term commitment to your employer rather than get you that desired raise. If, however, you've been in your position for at least a full year, have not only achieved your quota but have drastically overachieved your quota, and you have demonstrated a strong set of sales skills, then it may be an appropriate time to ask for a salary raise. Asking for a raise in a sales position is a lot like asking for a promotion. In both situations, you need to fully believe that you've earned the right to ask for what you want, that your employer also feels that you have earned the right and that you are prepared to present your reasons why you feel you deserve the promotion or raise. Lack any of these 3 elements and you may be out of luck. If you've done all your homework as detailed above and feel that you truly deserve a raise, it's time to get on your boss's schedule and get prepared to ask for your raise. It is important to let your manager (boss, supervisor, etc) know what you want to talk about but not to specifically state that you are going to ask for a raise. A possible "meeting request" could be "I'd like to meet with you to review my performance over the past year and to discuss a request of mine that is very important to me." Asking for a meeting using this approach won't get your manager on edge and she will understand that what you want to talk about is very important to you. If she is a good manager, what is important to you should be important to her as well. When you are sitting down with your manager, you need to make sure that you don't take an aggressive or an "entitled" approach. Both will put your manager on the defensive and won't serve you well. Instead, lay out the facts and reasons why you feel you deserve a raise, acknowledge that giving raises is a challenging position for your manager but do not offer an excuse to your manager for not giving you the raise you deserve! It is also smart to know exactly how much of a raise you are asking for. Saying, "Whatever you feel is fair" is a wonderful way to set yourself up for disappointment. If you've done a good job in presenting your case and used no idle threats but you don't get the raise you wanted, thank your manager for her time and ask her when you can revisit the topic of a raise and go out and increase your sales excellence. Many employees, after being turned down for a raise, become bitter and let their sales results slip. They think that by slacking off instead of returning to their jobs with an ever greater passion will somehow hurt their employer. In fact, the only person this attitude hurts is the one with the attitude. 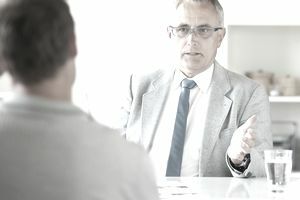 Yes, having a request for a raise rejected is disheartening and it may be harder to not only return to your job with the same passion you had before asking for a raise but to return to your position with even more passion; doing so is the best way to prove your worth to your employer. Your manager may expect your results to fall off after rejecting your request. But when she sees your results increasing, she may just call you in for another discussion before you think it's time for another chat.